Thanks for an absolutely fantastic stay. Home away from home – only (much) better. Can’t wait to come back. It was a Christmas Eve supper to remember! We loved The Christmas Crackers and the Cracker we ate dinner with! Love from your 1ST AMERICANS! What a wonderful experience – the highlight of our trip. Your property is unique + you both are also unique, thank you so much for being such wonderful hosts. A home away from home!! We stayed at the Captain’s Suite and it was absolutely GREAT:) We enjoyed all very very much and we will come back as soon as possible. Thank you very much for everything! A short but memorable stay. What a stunning view, comfortable rooms and true hospitality experience. Thanks a lot! An amazing suite with stunning views. We appreciate your warm and friendly hospitality. Alexander House has been the best experience we’ve had! Each day has been a memorable experience. We definitely would return soon 1ST Chinese Guests! 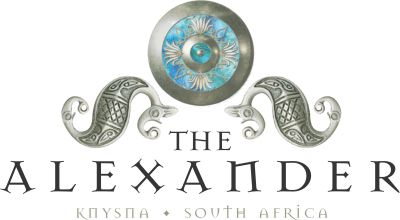 The Alexander in Knysna received an Afristay Certificate of Excellence Award.